At WhiskyTimes we are not ones to simply re-post PR, but we think this is something that will appeal internationally and that people will actually want to read. There is little we can add to this, other than wish yougood luck should you decide to enter. Its a fantastic opportunity for what will turn out to be some very lucky people. Following the huge success of this year’s Whisky Maker competition, which attracted close to 10,000 entries, the Glenrothes is delighted to announce the launch of Vintage Maker 2012. Whereas this year culminated in four winners spending a working week at Glenrothes Distillery, next year there will be three separate competitions resulting in four winners from the UK, four winners from the USA and four winners from the rest of the world. The successful candidates will be recruited to work as The Glenrothes Vintage Makers in the heart of single malt production, Speyside, Scotland, culminating in the creation of The Glenrothes Vintage 2012. As part of this opportunity, the successful candidates will learn the time-honoured art of making The Glenrothes and the skills that have been passed down from generation to generation. The winners will spend time working at each stage of the whisky-making process: testing the purity of the water source at the distillery’s two springs; milling the malt to achieve the golden proportions of husk, grits and flour; mashing to ensure maximum extraction of sugars in the wort; adding yeast to the washbacks and overseeing fermentation; slowly and carefully distilling new make spirit in our tall copper pot stills. From there our Vintage Makers will be involved in making casks at the cooperage, laying down casks for maturation and rolling casks to the warehouse. The Vintage Makers will nose single malt from maturing casks to assess whether the contents are of sufficiently exceptional quality and maturity; only the top 3% of the distillery’s output is bottled as The Glenrothes Speyside Single Malt Whisky. 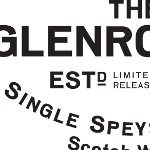 Finally, the Vintage Makers will have the opportunity to create the Vintage 2012 of The Glenrothes, to be released when it reaches the peak of maturity. After work, our Vintage Makers will enjoy the simple pleasures that Speyside has to offer; a spot of fishing, dining in the local Highland restaurants or perhaps a picnic in the hills surrounding the distillery. The Vintage Makers will stay in Rothes House, a private home belonging to the family that owns The Glenrothes. As with the distillery, Rothes House is not open to the public but is reserved for VIP visits. Entrants must submit 1500 characters or less in answer to the question ‘Tell us about your Vintage moment.’ Entrants may also upload a picture or link to an online video to supplement their written entry (but this is not necessary). The winners will be the entries that in the opinion of the judges, best represent the definition of a Glenrothes Vintage moment: A perfect combination of time, place, people and/or occasion when everything comes together to create a moment that will stay in the memory forever.